Emily enjoys sponge painting and when I saw this box of these PEEPS in the store I immediately thought of how much fun Emily would have using them to PAINT with. We decided to paint on white gift bags to use instead of Easter Baskets or Buckets for her cousins. Here is what we did to have a great time painting and printing with Peeps Marshmallow Bunnies. First, I put paint onto a take out container lid and gave Emily a Peep for each color. 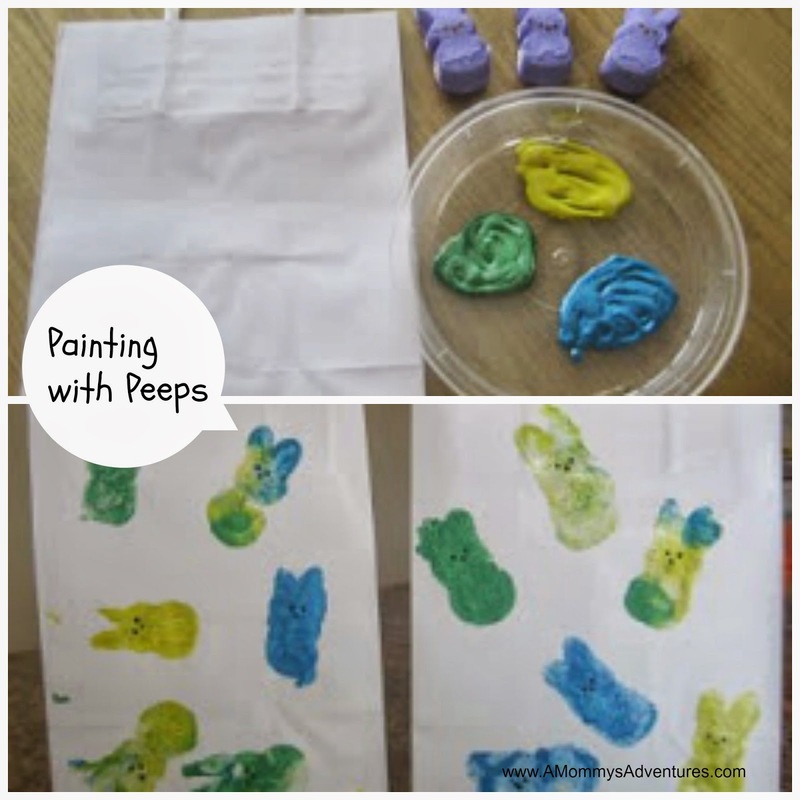 Emily pressed the Peeps in the paint and then onto the bag. When we were all finished Emily used the rest of the paint to make her own painting. She saw the Easter Grass I had out from last year and wanted to glue it on. Her picture looks like Peeps in Easter Grass!! Oh this is so lovely! I have never used food to stamp, but I think that my kids might take a bite...did your daughter? She's a great artist! She didn't try to take a bite, however she has never had a Peep to eat before...so I guess it would have never occurred to her. Very fun, I made peeps dioramas with my nieces this weekend, they had a lot of fun arranging the bunny peeps! This is a great idea, I will definatly be trying it with my daughter and the left over peeps tomorrow. :) Thanks! Well I never thought of using Peeps as stamps, but very cool! I never much liked eating them, any way! 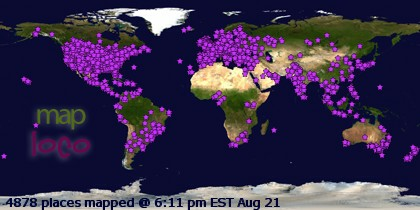 That is a wonderful project. I love the idea of using those marshmallows for stamping. Great idea, how did you get them from eating them? I think I will try this one this next week. That is a great idea! How cute!